I found out about Graphic Medicine while looking for projects that make use of alternate modes of communication in fields where its use is not obvious. 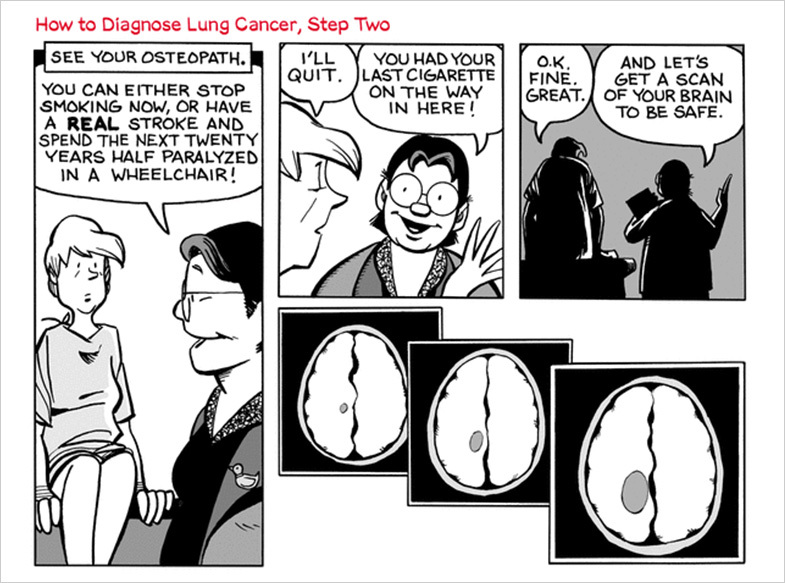 Graphic Medicine, in the form of a website, provides an in-depth and well-rounded view of the role of comic books in the communication of healthcare and medicine. Facilitated by a community of academics, health carers, authors and artists, the site is a rich resource that provides multiple forms of engagement for different audiences—from people engaged in popularising the role comics can play in medicine to medical practitioners, patients and carers. From Iggy and The Inhalers, by Alex Thomas, MD, to teach kids with asthma about asthma symptoms, treatment and medication. This isn’t to say that Graphic Medicine only resonates with those somehow connected to the medical field or comic books. Amongst the diverse comics featured or reviewed, there is a loose unification under medical and healthcare themes, making them mostly accessible for anyone to read. They deal with a range of issues, such as coping with a family member’s diagnosis of an illness, postpartum depression and the experience of donating an organ. Left: Epileptic by David Beauchard. 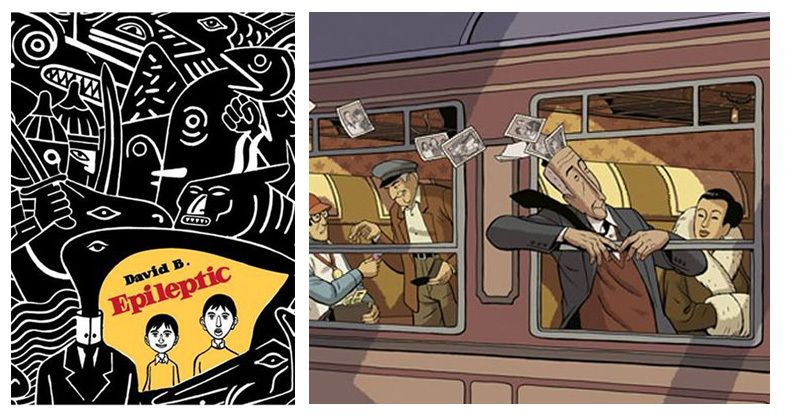 Right: Wrinkles by Paco Roca, a graphic novel about Alzheimer’s disease. Reading about the project is interesting, but you’re instilled with a much stronger conviction for the case of comics in medicine by actually reading some of them. The narratives expectedly deal with difficult and harrowing themes. They draw you in and give you a greater understanding of and insight into a situation. And while there still exists a fallacy of comic books needing to be ‘comical’ (or dealing with lighter topics), in actual fact their power lies in leveraging image and text deftly to communicate to a wide audience. Graphic Medicine as a platform provides the space needed to explore the role of comics within healthcare. Some of the comics can be read online. 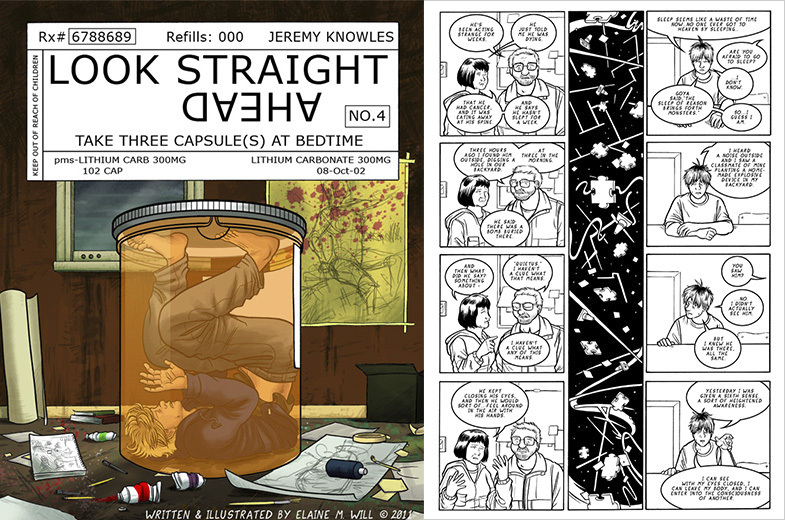 Look Straight Ahead by Elaine Will is about a teenager dealing with depression and bipolar disorder. From Chapter 4 of Look Straight Ahead by Elaine Will. Mom’s Cancer , published online twice a week, is written by Brian Fies, and is an account of his mother’s battle with metastatic lung cancer. Mom’s Cancer by Brian Fies. The resources available on the site are varied and allow you explore different facets of Graphic Medicine. Comic Reviews and Editor’s Picks point you to different comics. A Graphic Medicine podcast is available through iTunes. You can submit a comic or become a guest author on the site, which helps adding new voices to the discussion. The Facebook page is active and frequently updated with news. 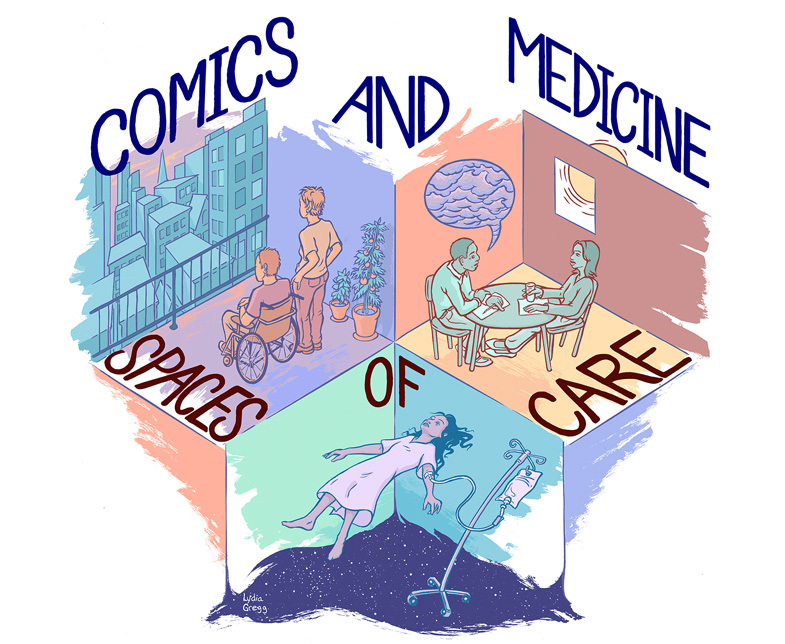 Annually, Graphic Medicine also hosts a ‘Comics and Medicine’ conference—this year, the theme for the conference is Spaces of Care, and will be hosted from 16 – 18 July 2015 at the University of California, Riverside. An eponymously titled book series, published by Penn State Press is available for purchase online. Currently, there are 2 books in the series, The Bad Doctor and The Graphic Medicine Manifesto. 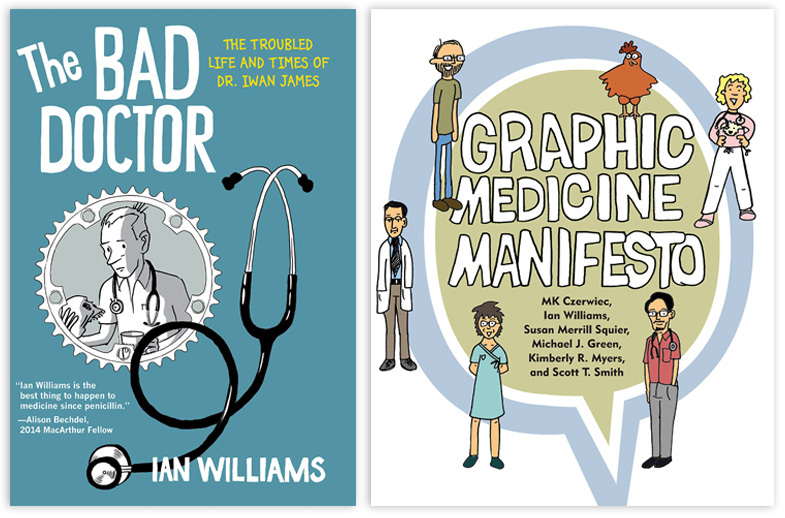 The two books within the series on Graphic Medicine: The Bad Doctor (left) and the Graphic Medicine Manifesto (right). By using visuals, comics have the ability to directly immerse a reader in a specific context. Effectively harnessing visuals enable readers to develop a rich and layered comprehension of narratives, rapidly increasing the ability to connect with the scenario. The effectiveness of comics also lies in the ability of visuals to have a high recall value. All images from Graphic Medicine / respective authors and artists, as indicated.